I love nothing more than finding unique, cosy places to grab a coffee and a bite to eat. Everyone loves a to grab a Costa coffee but I really like to support local businesses too, so I wanted to share a hidden gem with you. 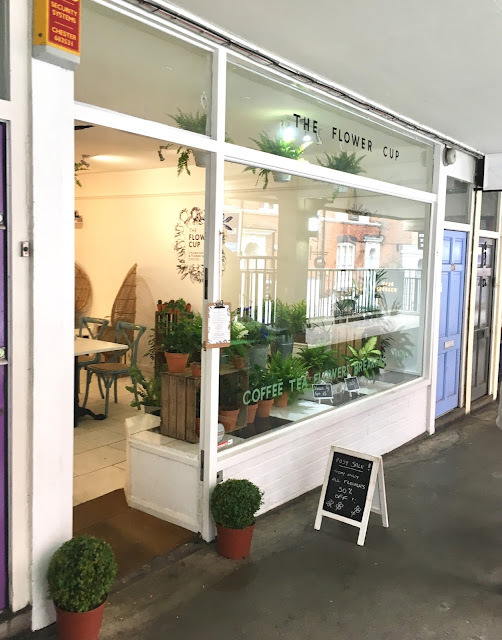 "A unique, independent coffee & flower shop within the walls of Chester. Stop by for great coffee, Italian inspired food and seasonal flowers." If you have ever visited Chester you may know that there is many, many shops above street level in the historic Rows. The majority of the shops on The Rows are independent businesses ranging from cafes, shops, salons and a couple of places to drink too! 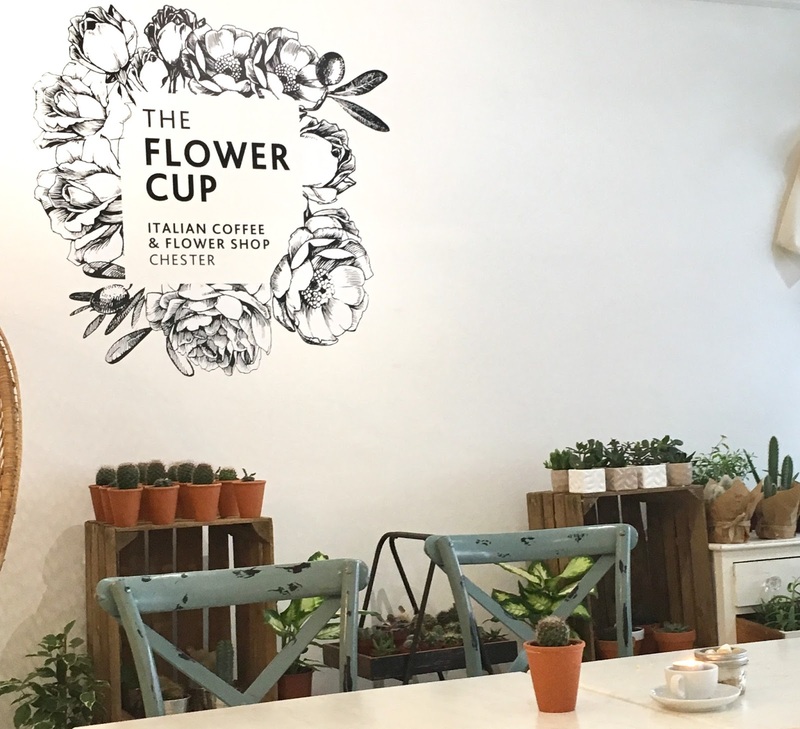 My boyfriend and I decided to visit The Flower Cup today for a coffee and to check out what food they had to offer. Inside it is tastefully decorated, it's light and airy and everywhere you look there are interesting plants, lamps and candles. We had a browse of the menu and decided we definitely wanted to test out the food. 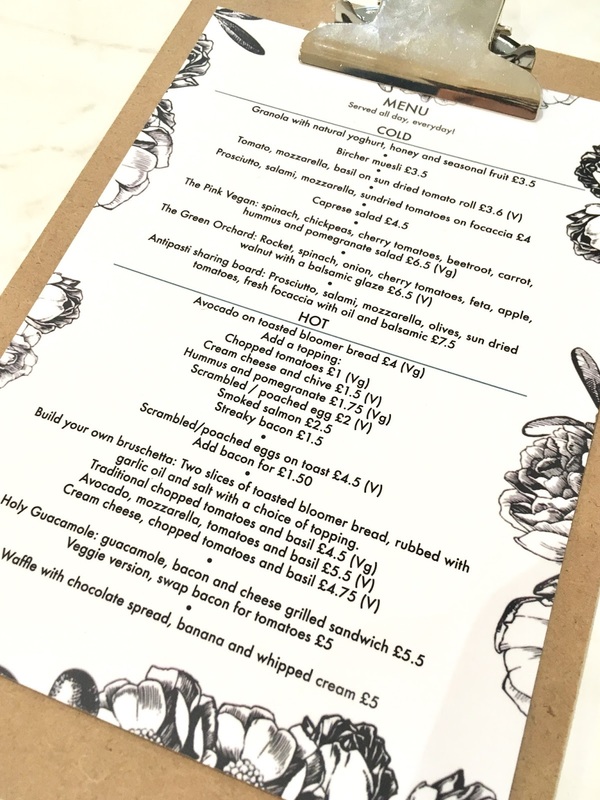 The menu is simple yet bursting with delicious sounding flavours and they also have a selection of sweet treats too. 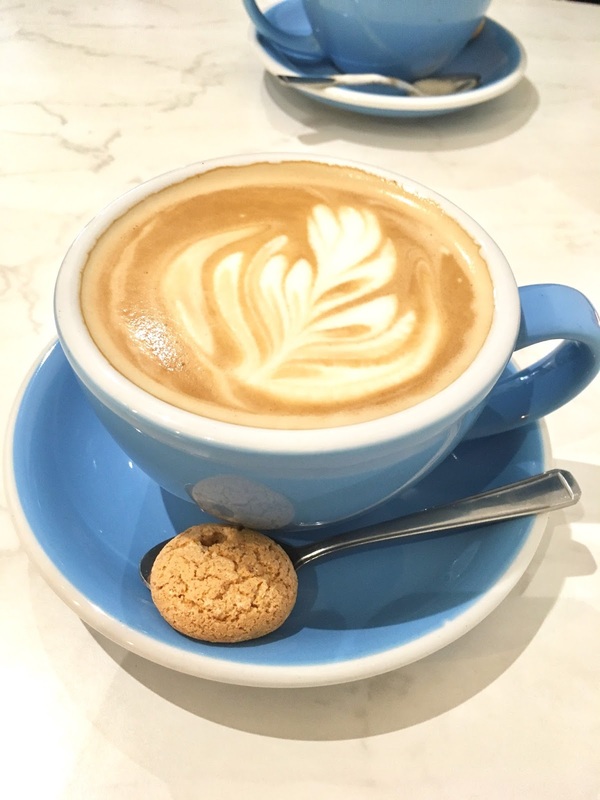 We ordered two lattes which came with the most deliciously sweet biscotti - a really nice touch! 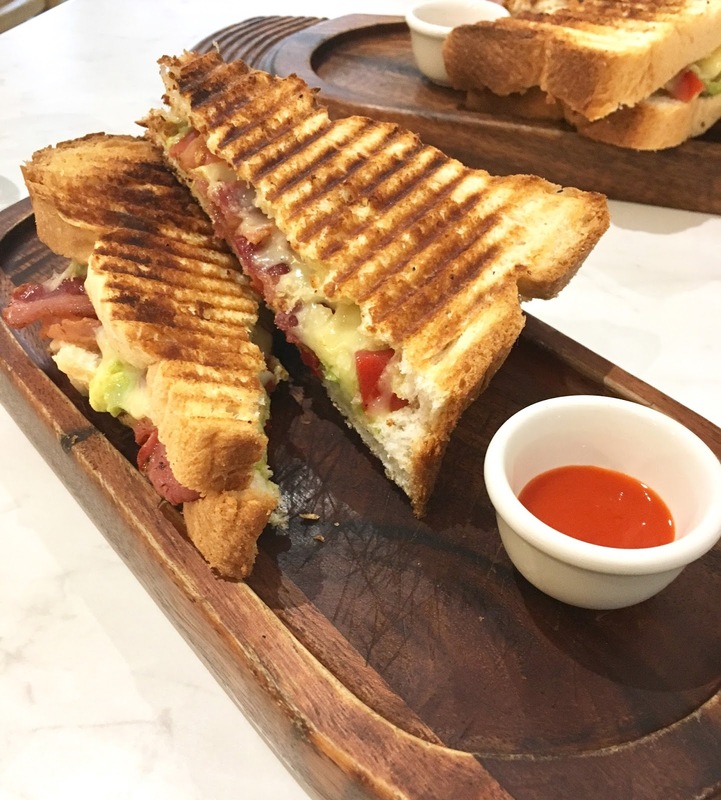 We opted for one of their most popular items on the menu, Holy Guacamole, which is a bacon, cheese and guacamole toastie served with a sweet and spicy dip, my boyfriend had the vegetarian version which was the same except the bacon was substituted with tomatoes. Both were equally delicious. 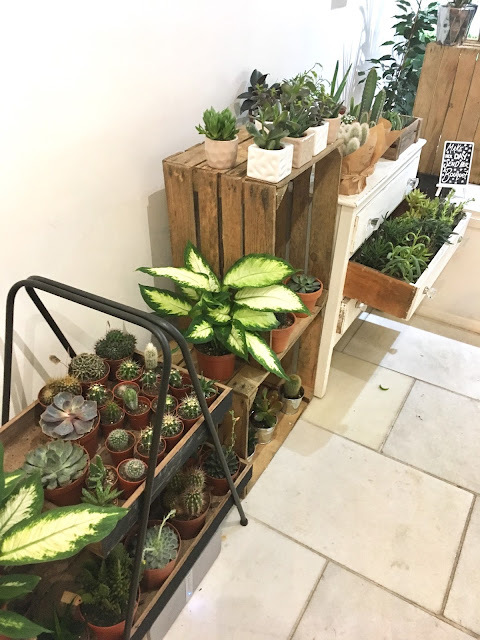 The plants inside the shop are really stylish ranging from cactus, ferns, fresh flowers and many other pretty green things which I don't have a clue what they are called! I ended up walking out with an Aloe Vera plant for my bathroom but I could have bought so many more. 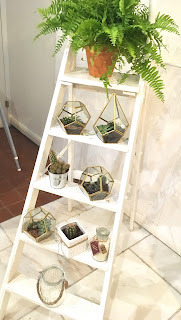 I was also eyeing up a Terrarium but I resisted - for now! 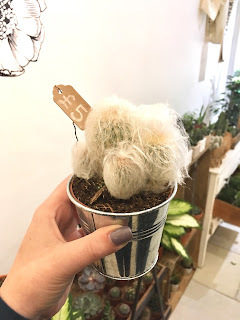 How cool is the hairy cactus?! 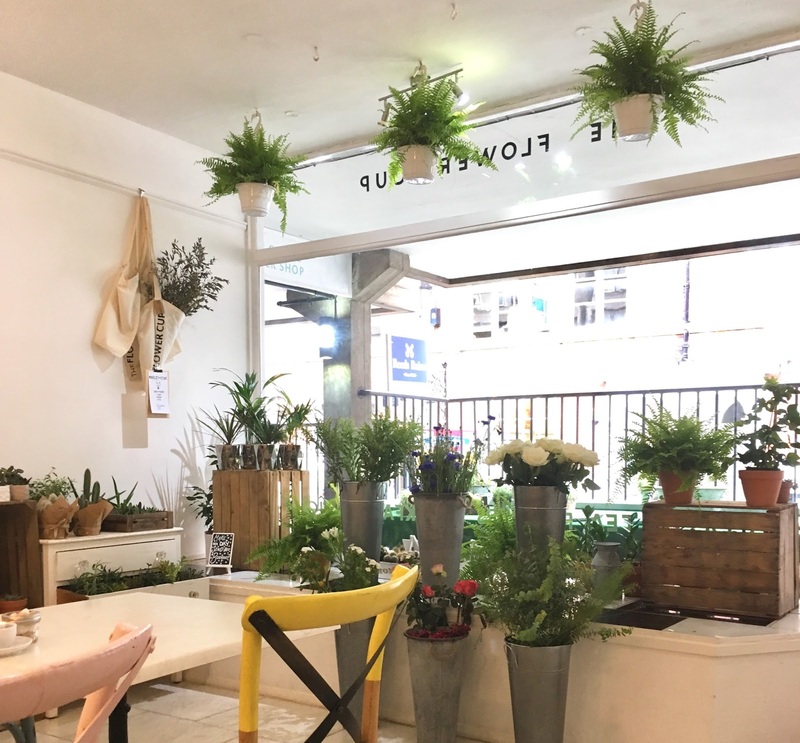 This is a really nice place to relax and treat yourself to something delicious, the staff are really friendly and helpful too. The Flower Cup has a very pretty Instagram account which you can find HERE to see more of what they have to offer. If you are visiting Chester then I would definitely recommend heading up to The Rows to discover some interesting places. Do you support your local independent businesses?